Chinese collectors of vintage baijiu will pay a premium for rare vintage bottles of China’s national drink baijiu. Even though this bottle fetched $300,000 there were many collectors who thought it would have fetched a lot more considering a bottle of baijiu produced in 1935 recently sold for US$1.6 million, making it the most expensive bottle of baijiu ever sold in China. 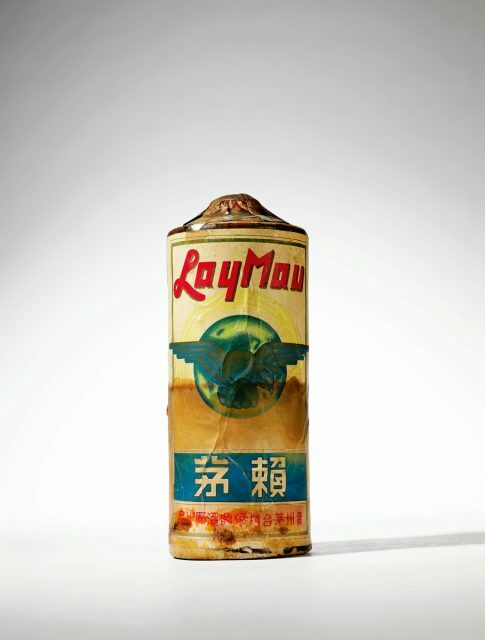 The bottle pictured is considered very rare as it bears the label of ‘Lay Mau’ which at the time was not part of Kweichow Moutai. It was not until 1953 that three separate distillers were merged by the Chinese government into one sate owned company that is know today as Kweichow Moutai. Baijiu labelled ‘Lay Mau’ was exported to Hong Kong shortly after the founding of the peoples republic of China in 1949. 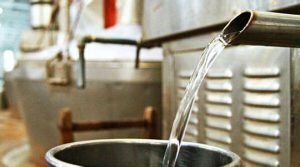 Vintage and rare baijiu in China is considered by many as a good investment that yields good returns and shows a strong appreciation in values for the right bottles. The baijiu investment market in China is estimated to be worth around RMB 5 billion to RMB 7 billion, and was projected to reach RMB 30 billion (US$4.48 billion) by 2020. According to Xiling Yinshe, a Zhejiang-based Chinese auction house the top selling lots consisted of 100 bottles of Moutai made between 1983 and 1986, which was sold for RMB 3.335 million (US$498,000). The auction sold around 6,000 bottles of baijiu and generated RMB 84.88 million in sales. A bottle of 1958 Moutai sold for 1.4 million yuan (US$229,453), while China Guardian sold another bottle from 1958 for 910,000 yuan (US$143,410) just a few days later. Beijing Poly auctioned an extremely rare 1930s vintage from the distiller Nai Mao (赖茅), the company that eventually evolved into Moutai, sold for a huge 2.6 million yuan (US$409,152) Highlights from the same auction included a bottle of 1967 Moutai that sold for 253,000 yuan ($39,136), a 1966 Moutai that went for 701,500 yuan ($108,514 ), and a rare bottle of 1960 Five Star Moutai (五星茅台) that sold for 1.3 million yuan ($204,576).